Kojonup Agricultural Supplies are the Great Southern’s largest Stihl outlet. 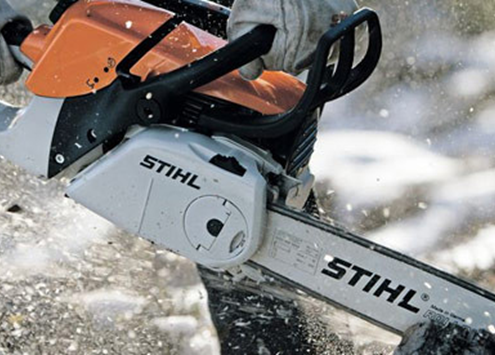 We sell and service the entire range of quality Stihl products, and we provide the back up and servicing requirements on site in our workshop. We are very fortunate to have our qualified staff member Michael, who has not only received the latest training from Stihl and is familiar with all the Stihl products, but is also a fully qualified small motors mechanic with 15+ years of experience. Call us to discuss your needs or visit the Stihl website to see their whole range. Personal Safety Equipment such as gloves, hardhats, shields and much more. 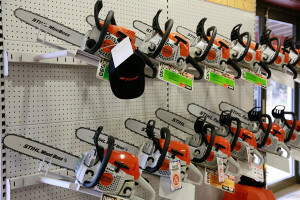 Having problems with your chainsaw not performing as well as it used to? No worries! Not only are we able to service it, but we can very quickly and efficiently give the chain a professional sharpen so you are back to slicing through those logs like butter!! Don’t fall for any cheap imitations because we are STIHL THE ONE!